Through the year of 2018 artist Dr Aidan Doyle has been reflecting upon various aspects of North Eastern culture: times past and recent events. 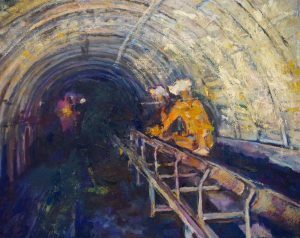 It has been twenty five years since the closure of the big coastal collieries. 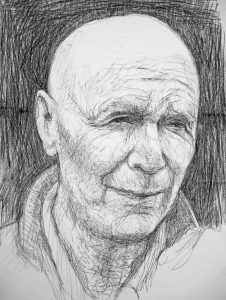 At that time Aidan photographed in and around the pits, and this anniversary has caused him to look back on some of the images he then generated with the view to making a suite of paintings. 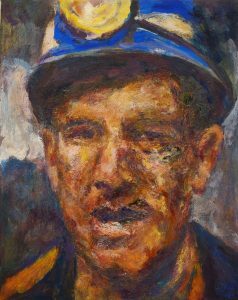 He recalls with great fondness the kindness of the miners who accompanied him at Wearmouth, Westoe, Easington, Ellington and Blenkinsopp Castle Collieries. These drawings and paintings sit alongside observations of current cultural activities. The legendary folk music group High Level Ranters re-convened for a concert in the autumn. He was fortunate to be able to watch Live Theatre rehearsing ‘Clear White Light’ with vintage actors and musicians in the cast under the tutelage of Live’s new artistic director Joe Douglas. 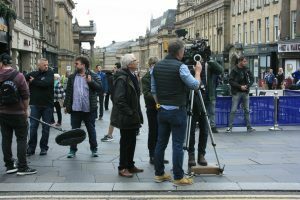 Ken Loach joined us here in Newcastle to direct his latest film ‘Sorry We Missed You’. His company, Sixteen Films, took up quarters here in the Arts Centre. 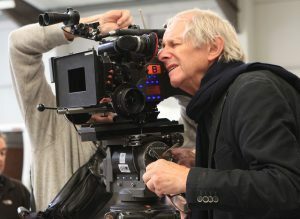 The artist was able to join them and observe their work on locations around the region, alongside producer Rebecca O’Brien and screen writer Paul Laverty. 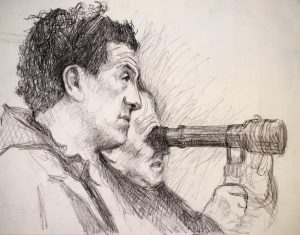 “Truly wonderful to see” said Dr Doyle, “I hope that my drawings and paintings reflect something of the great thrill of watching such talented people at work”. He remarks that the same could be said for his earlier mining experiences. All the works are for sale, and upon request can be removed from the exhibition after 12th December. 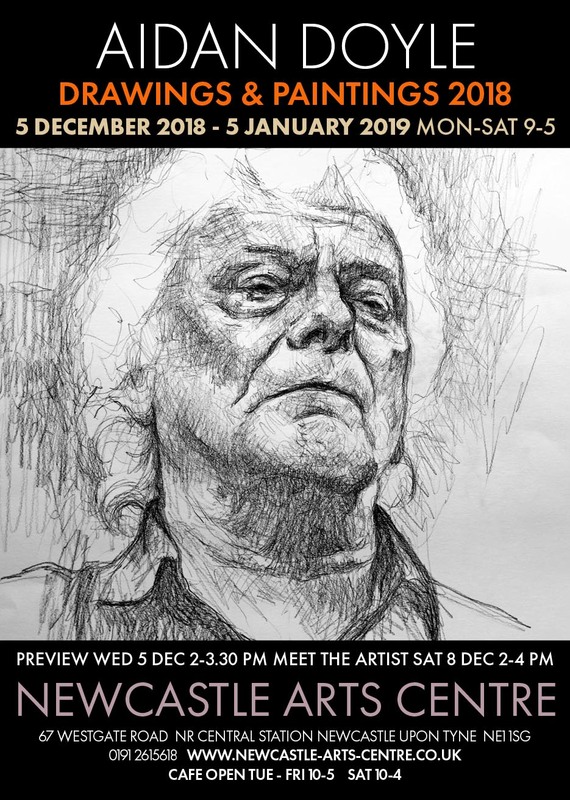 The show continues until the 5th January 2019. ‘Aidan Doyle is a very special artist. His pictures reveal the texture and live experience of the working class. We tend to be protective of our privacy when making a film, but it was a pleasure to welcome Aidan’s benign presence. Open Mon – Fri. 9 am – 5.30 pm/ Sat. 9 am – 5 pm until Saturday 22nd Dec.
From 27th Dec. – 29th Dec. from 10 pm – 5 pm. Christmas and New Year Holidays the Arts Centre will be closed. Jazz Cafe is closed from Sun 23rd Dec and reopens Fri 4th January.